Coun Wayne Daley, cabinet member for childrens services. Almost 900 Northumberland students have been using free post-16 transport this school year, which is the first since controversial charges were axed. The previous policy where students had to pay £600 a year was introduced by the former Labour administration for the 2014-15 academic year in the face of protests, particularly from rural areas of the county. The Conservatives’ new policy, which provides free transport for Northumberland residents travelling to a full-time course at their ‘nearest appropriate provider’, was approved last May. Students have to pay a £50 administration fee (with some exceptions), but this covers the two years of their course and is paid back in the case of an application being unsuccessful. A report to last Thursday’s (April 4) meeting of the county council’s family and children’s services committee explained that in the current academic year (2018-19), 877 students are benefiting from free transport ‘which represents a sharp rise in the number accessing school buses and taxis procured by the county council’. The families of 698 students paid the £50 fee, resulting in just under £35,000 in revenue. Clearly, reintroducing free transport for post-16 students has resulted in additional spending by the council, however, the net cost of the scheme in this financial year is £706,000, below what was forecast and budgeted for. But the report does warn that this is likely to rise in future years as awareness of the travel scheme grows. The report also explains that the previous policy of charging still resulted in a net cost to the council. In the 2017-18 academic year, when the previous policy was in place, just 256 students were provided with seats on school bus services commissioned by the county council. Of these students, around half (127) paid the £600 annual charge, bringing in £73,000 of income for the council, as the remaining 129 students were provided with free transport on grounds of low income, medical need or on discretionary grounds following an appeals process. Therefore, the scheme still cost the council £240,850, while the remaining 4,700 students in post-16 education made their own way to school or college. 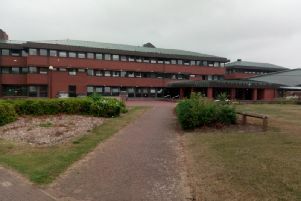 Figures show that a large proportion of the students (355) benefiting from free post-16 travel this year are using it to get to Northumberland College, with groups ranging from 12 (Berwick Academy) to 75 (King Edward VI in Morpeth) using it to get to the sixth forms at the county’s high schools. Out-of-county establishments such as Newcastle College and Tyne Met College account for 64 of the students using the service. Coun Wayne Daley, cabinet member for children’s services, said: “We made a commitment to get rid of the teenage tax and we did it. “As you can see, a particular beneficiary is Northumberland College, as well as our high schools. But teaching union representative, Richard Woolhouse, pointed out that the figures only showed how many students were taking the bus, not if it has had any impact on the numbers attending schools and colleges or whether they have been able to access courses that they couldn’t when there was a charge.